Did you know you have another option for watching the City Commission meetings other than Channel 5? You can watch them LIVE on Facebook! 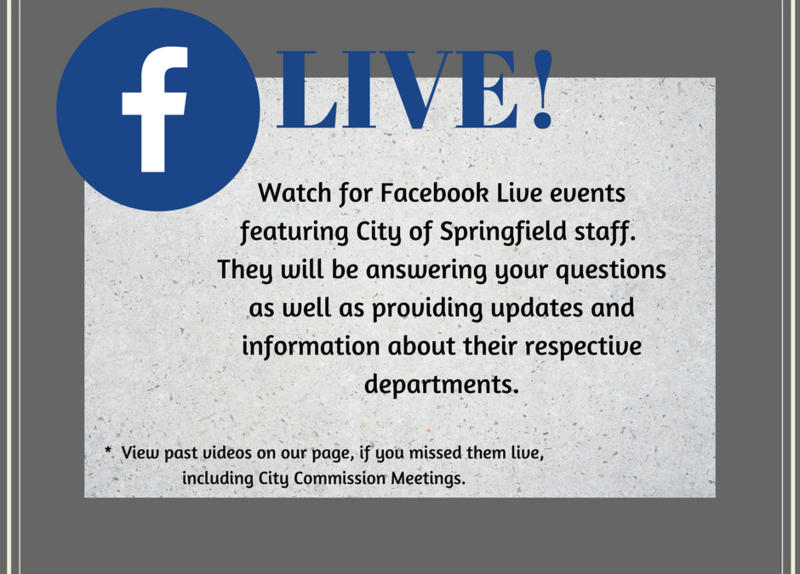 Visit our Facebook page at “City of Springfield, Ohio – Government” to watch upcoming meetings and replay past meetings. We have also gone Live with Police Chief Lee Graf and Fire Chief Brian Miller giving you updates and answering your questions. Be sure to “Like” our page so you don’t miss upcoming Live events with other key staff.